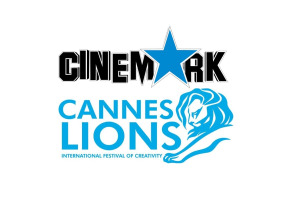 As the official local representative for this year's edition of the Cannes Lions International Festival of Creativity, Cinemark is once again sponsoring the South African leg of the Film category of the Young Lions competition. A panel of leading professionals and creatives have been selected to judge this year's edition. The competition provides young creatives with an opportunity to demonstrate their talent by creating a 60 second commercial in just 48 hours. The team behind the winning commercial, as selected by the judges, will attend the Cannes Lions International Festival of Creativity from Monday, 17 June to Friday, 21 June. There, they will compete in the global competition, vying for the honour of being crowned Young Lions of Cannes 2019 – with their return flights, accommodation during the festival, entry into the Cannes Young Lions competition and a full week’s Festival registration all covered by Cinemark. With the entries now in and the judges announced, anticipation is mounting: which two young creatives will be flying to France this June? For more information visit, www.cinemark.co.za. You can also follow Cinemark on Facebook or on Twitter.